For wine lovers, The Illinois Winter Wine Festival and Annual Conference in Springfield, Illinois was the wine conference to attend. Wine was in abundance not only during the three days of educational sessions but also at the Winter Wine Festival on Saturday night. 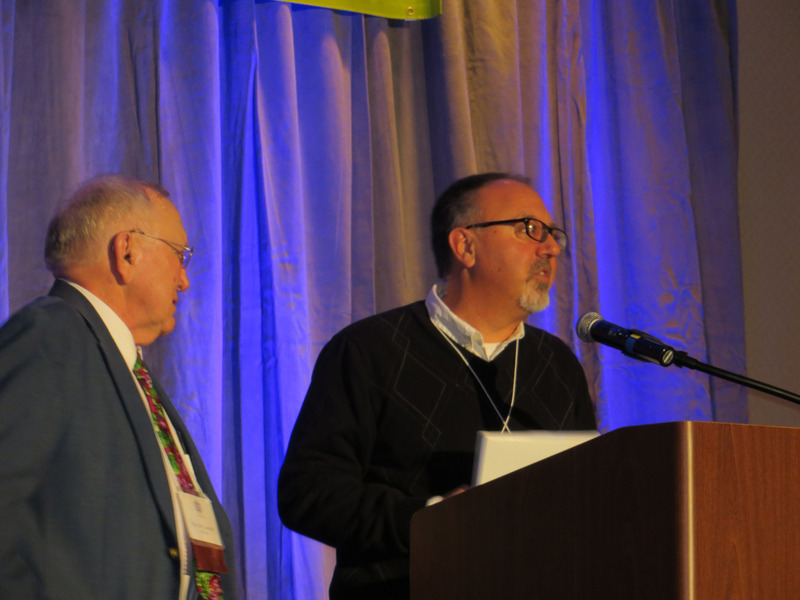 According to Brad Beam, the enologist from the Illinois Grape Growers and Vintners Association (IGGVA), the advantage of a “mid size” conference, like Illinois, is that attendees can educate their senses as well as their minds. Among the special wines poured at this year’s Illinois Conference were an impressive line up of blended vinifera wines from Black Ankle Vineyards in Maryland. During his session, “Creating New Wines, Thinking Outside the Box,” Black Ankle winemaker Ed Boyce explained why blending is becoming an essential skill for both hybrid and vinifera winemakers. Attendees tasted three Minnesota made Frontenac blancs- one from the University’s winery, one from Dell Schott of Bevens Creek Vineyard and a third made by Chris and Terri Ellering of Whispering Oaks Winery. All three had unique characteristics and intense aromatics. Aromas ranged from spearmint to stone fruit, while a fusillade of flavors exploded from the glass including pineapple, peach and apricots. 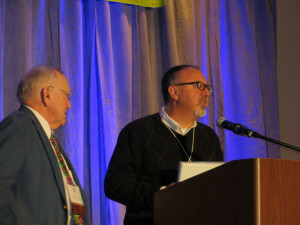 This year was the second year that the Illinois Conference included a “wine lovers” tract for consumers. As part of a demonstration on wine and food interactions, Chef Denise Perry from Lincoln Land Community College prepared a plate of appetizers (which could have easily sold for $25 at a restaurant) that were paired with Illinois wines. Participants noted how ingredients like olives, tuna and beef interfaced with Illinois wines during this session led by Brad Beam. But the biggest selection of wines at the Illinois Conference was saved for the Winter Wine Festival. 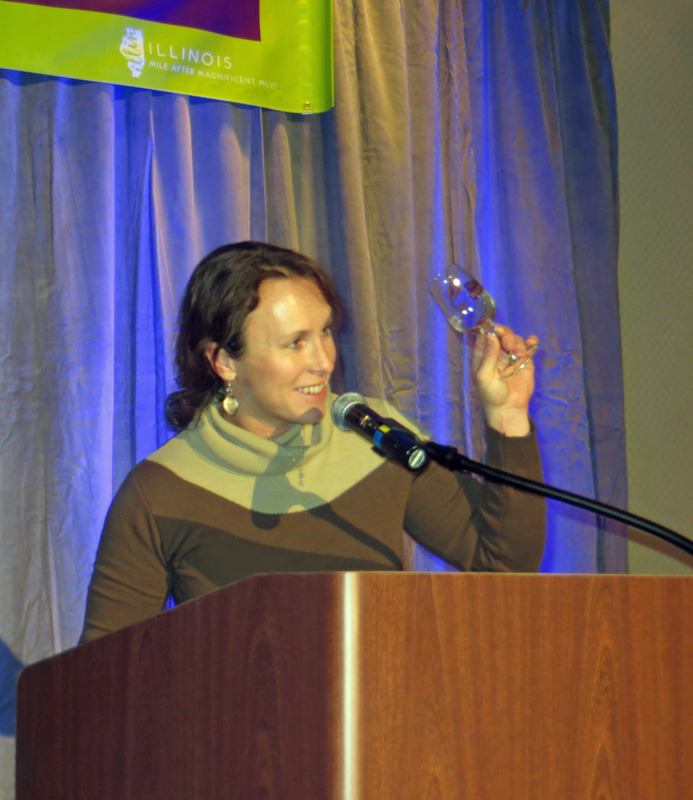 On Friday night, over 500 attendees braved a snow storm to enjoy food and wine from 15 Illinois wineries. Attendance at this year’s Winter Wine Festival was approximately double the attendance of last years’ event. 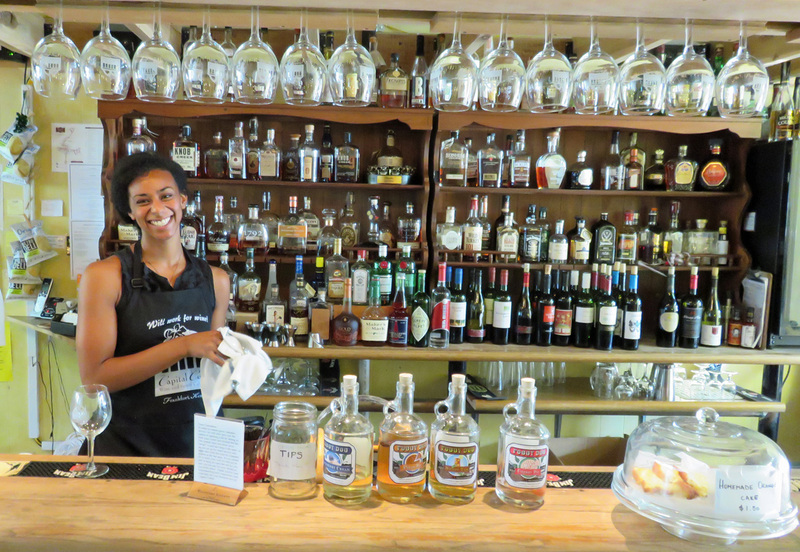 Megan Pressnall of the IGGVA attributes the increased attendance to more aggressive promotion and a growing following for Illinois wines in Springfield, the state capital of Illinois. 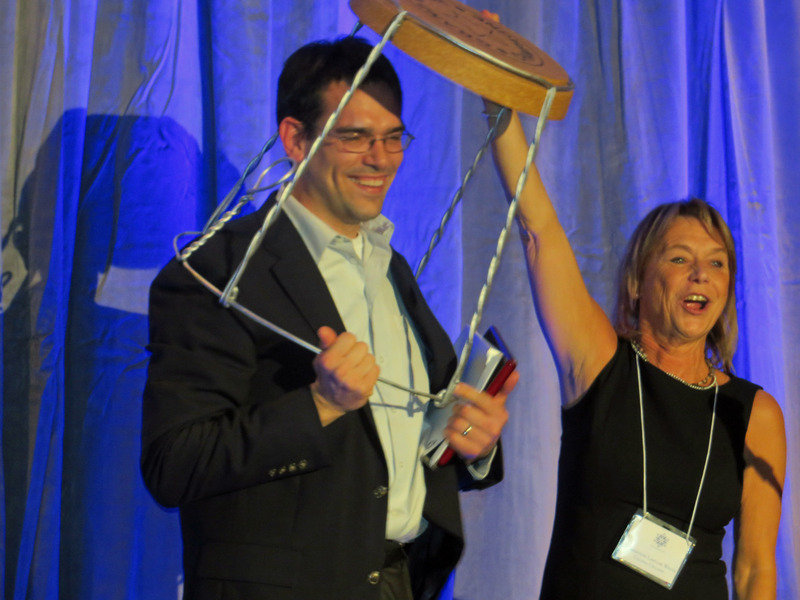 A number of awards were presented at the Annual Awards Banquet on Saturday night. 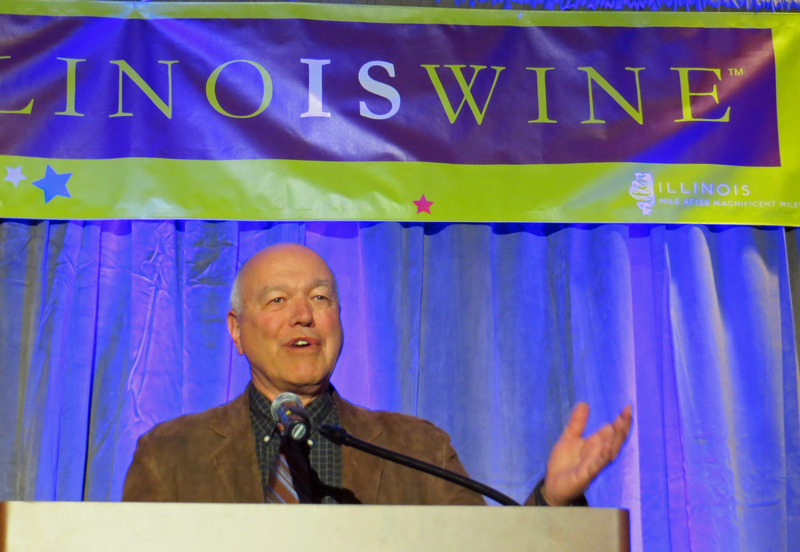 2013 Winemaker of the Year Mark Wenzel has been a trailblazer for the Illinois wine industry, both as winemaker for August Hill Winery and as the founder of Illinois Sparkling Company. At Illinois Sparkling, Mark uses Illinois cold climate hybrid grapes to make traditional method sparkling wines which can be found at high-end Chicago bars and restaurants like Fountainhead, Trump Hotel and Trencherman. Recently, Illinois Sparkling signed associated with Robert Houde Wines, a Chicago-based distributor of premium sparkling wines from throughout the world. Although Wenzel is considered the brightest star in Illinois wine, he paid his respects to Illinois wine pioneers during his acceptance speech. “We wouldn’t be here without the work of the old timers,” he said. 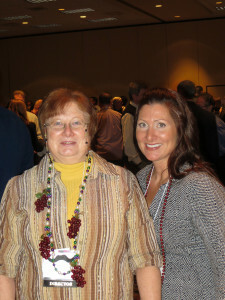 For more photos from the Illinois Winter Wine Festival and Annual Conference click here.